The GZ1 is currently in stock! Gizmo is the latest brand in the market for high end touring car racers. The Gizmo GZ1 is a totally new developed touring car, which is completely adjustable down to the finest detail. The GZ1 features a specially patented designed drive-train system, which makes is possible to have a 100% centered drivetrain, not seen before in any high end touring car. At first glance, the Gizmo GZ1 is very different from previous known high end touring cars. 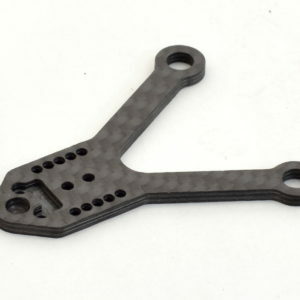 The main chassis is cut from 2.15mm woven carbon fiber fitted with a patented one-piece vertically mounted top deck for increased stiffness. 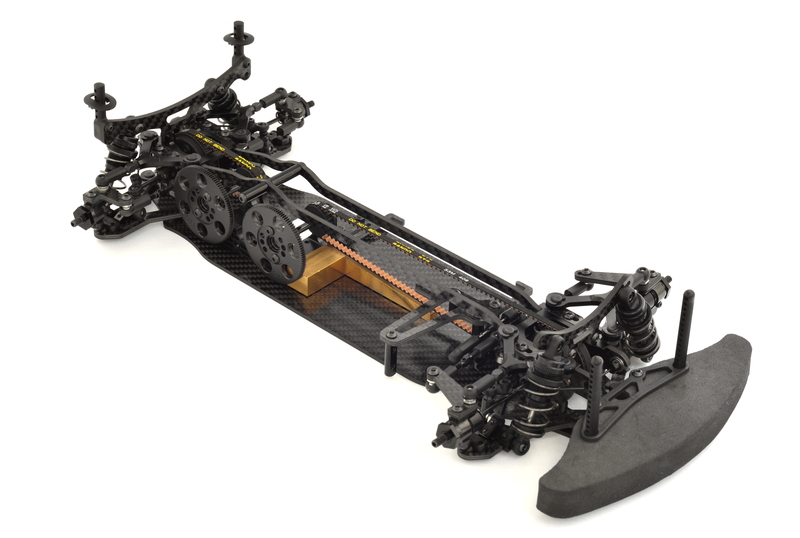 This new platform provides a more linear flex characteristic for the chassis. For maximum performance on the track, the Gizmo GZ1 is equiped with state-of-the-art 7075 machined aluminum parts for maximum durability and precision. The design of the motor mount is also something completely new and not seen before. 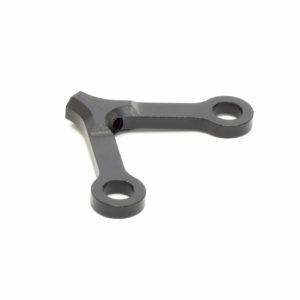 This patented system allows the Gizmo GZ1 to have 100% centered drive train for better balance and weight distribution. Combining all of these elements allows the Gizmo GZ1 able to have an extremely low center of gravity. The Gizmo GZ1 is built around a highly efficient drive belt and pulley system that allows for maximum acceleration and insignificant power loss. The front end spool and the rear end gear diff are fitted with 35-tooth pulleys, which are combined with an 18-tooth center pulley for an optimized internal gear ratio. Extra low friction double joint front universals and rear CVD universals are driven by high grade alloy outdrives for tremendously low rotational weight. 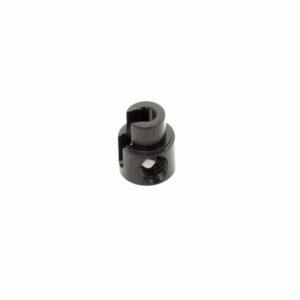 The front and rear end hex adapters have a thin profile for lower unsprung weight and easy and broad adjustment of track width. The Gizmo GZ1 is fitted with a fully adjustable suspension system; it allows for adjustment of: caster, active-caster, camber, roll center, droop, dive, anti-squat, front toe-in/out, rear toe, linear and active (ARS Type). 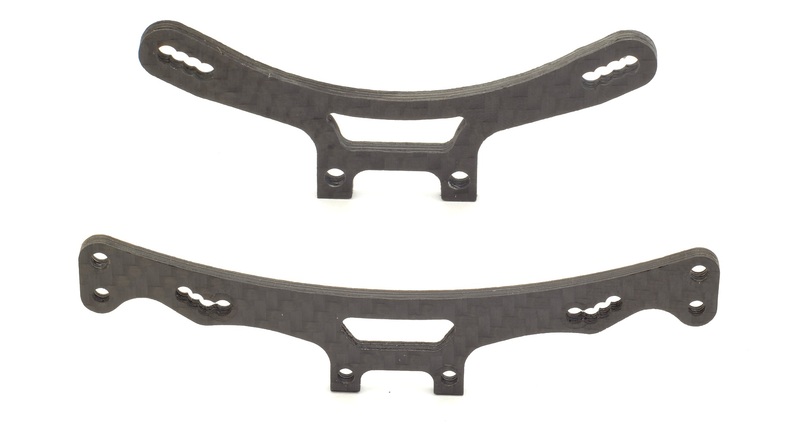 For minimal unsprung weight, the Gizmo GZ1 comes equipped standard with carbon fiber lower wishbones. For ease of use and lower parts count the front and rear end wishbones are symmetrical. Additionally, front and rear end anti-roll bars are symmetrical in design and mounted with bearings into the one-piece top deck. 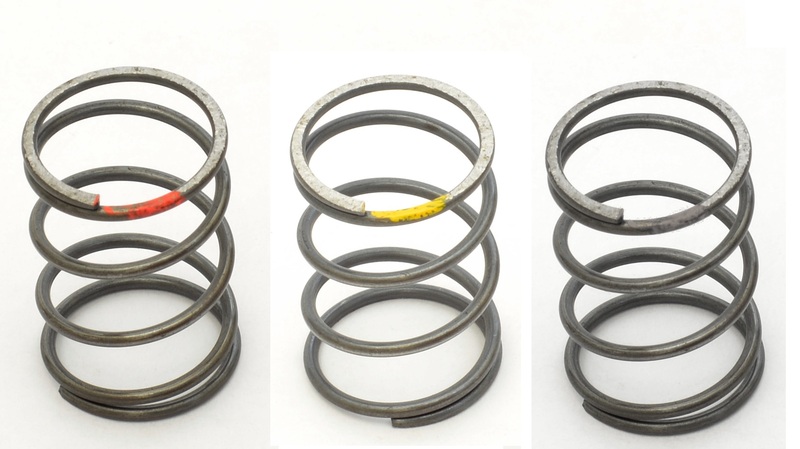 The kit comes standard with 3 different thicknesses of anti-roll bars and 3 pairs of shock springs, allowing the driver to easily optimize the handling feel for his or her driving style.